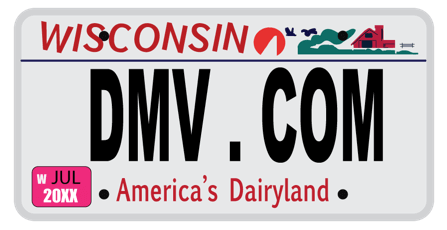 DMV.com was created to help simplify your life by providing you with all the vehicle related information and Wisconsin DMV services you may need, in one place. Quickly find information and services regarding driving records, vehicle registration, drivers license renewal, license plate renewal, getting a learners permit, and finding a Wisconsin Department of Motor Vehicles approved traffic school. Residents need a Wisconsin drivers license to drive legally in the state. Learn about WI driver license services such as DMV license renewal and replacement. Requesting driving records online in WI is the easiest way to obtain them. Order your Wisconsin DMV driving record from the comfort of home. Compare auto insurance rates at our WI online car insurance center. The Wisconsin DMV requires minimum car insurance for all drivers. Our online traffic school is approved by the WI DMV. Begin WI internet traffic school today to fulfill a requirement or reinstate a license. A DMV practice test helps applicants prepare for the license exam. Take a DMV practice exam to test your knowledge of Wisconsin traffic laws. Car registration is required by the WI DOT. Learn about renewing car registration documents, replacing car registration documents and more. WI drivers training must be completed by license applicants younger than 18. Enroll in online drivers ed to meet DMV requirements from home. Learn how to request a bill of sale from the Wisconsin DOT. A DOT bill of sale is a car sales receipt that records a transfer of ownership. Unpaid traffic tickets in WI can lead to DMV penalties. Learn how to pay a speeding ticket online or fight a traffic ticket in Wisconsin. Getting a DWI in Wisconsin results in fines, license revocation other DOT penalties. Learn about the Wisconsin DWI laws enforced by the DOT. Buy a car in Wisconsin the easy way. Buying a car online expedites required DOT services such as registration and obtaining plates. Wisconsin DMV locations can be found throughout the state. Find a nearby DMV office in Wisconsin where you can obtain DMV services. Avoid all DMV’s bureaucracy. DMV.com offers the best guides for drivers license, vehicle registration, license plate, emissions and other motor vehicle issues online. Do you need clear guidance through the Wisconsin Division of Motor Vehicles? You’re on the right place! On our site you will get all the details you need about the Wisconsin DMV in a timely manner and an easy-to-understand format. We are here to help you meet all the requirements for vehicle registration and licenses the Wisconsin BMV imposes. Whether it is info on vehicle registration or the basic steps to obtaining an WI driver’s license, all accurate data are here plus other topics like auto insurance rates, renewing licenses etc. Our site is user-friendly. Just ask in the “search” feature what you want to know and DMV.com will give you the right answer right-away! We encourage you to give us feedback by telling us what you like or don’t like about us or the services offered by your local office. Engage with us on Facebook and help us get even better in offering the most up-to-date info.